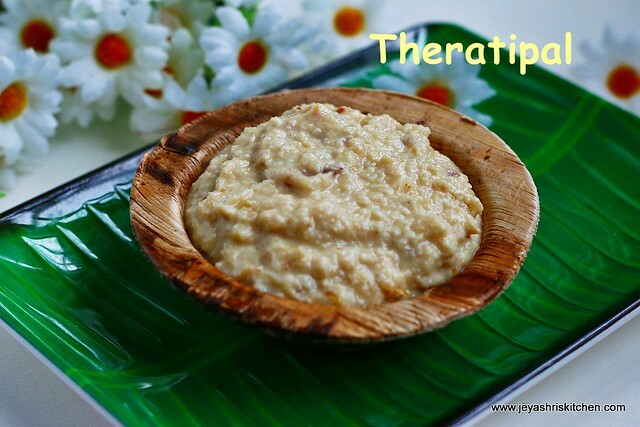 Thiratipaal | Palkova is a must one we make at home for Janmashtami. 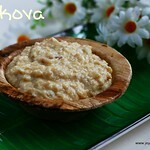 My mil makes palkova and my mom makes basundi. 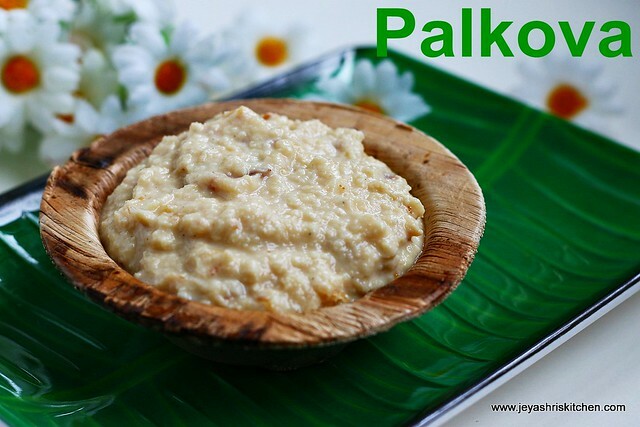 Both are experts in their own way in making this palkova. 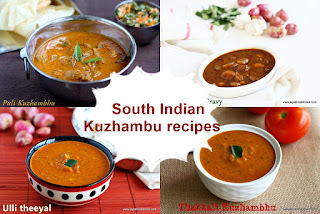 I tried microwave version of theratipal long back and posted the recipe too. 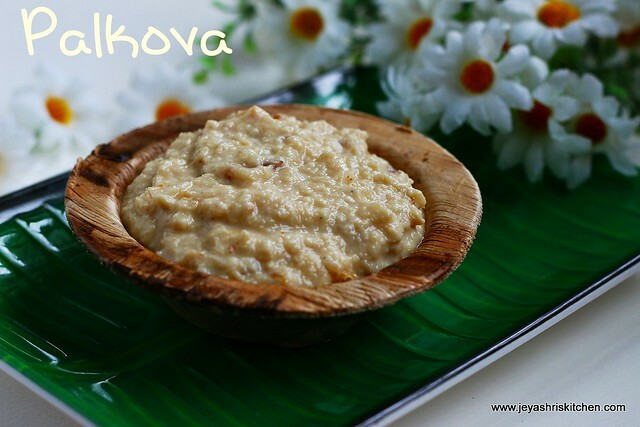 My mil makes with cow's milk and she always tells that it will give a perfect taste and colour to the palkova. 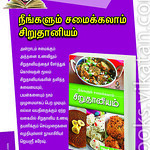 I am happy to share that my recipes got featured in Aval Vikatan dated August 26, as a supplementary book. 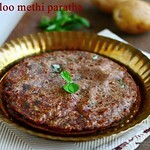 The book was themed "Gravies, dal and Subzi varieties for Chapathi ,Naan and pooris". 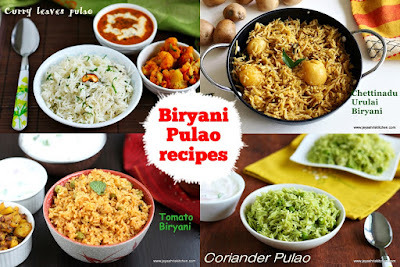 Will post some of those recipes here with step wise pictures soon. 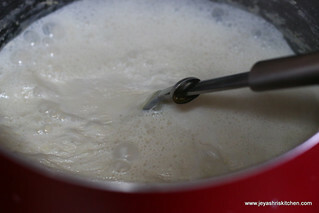 In a heavy bottomed pan add the milk and start boiling this. 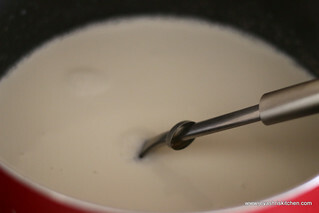 Place a very small plate into this, this is to avoid the milk getting burnt and over flowing. Continuously stir in the milk Though we place the small plate, stir continuously to avoid getting burnt. Put in a small flame. Let this boil till it becomes a semi thick gravy. Now the color of the milk will be slightly different. 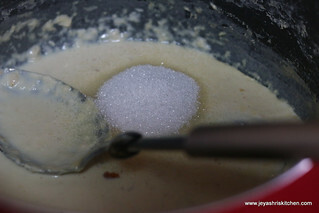 After adding sugar, the mixture will loosen slightly. Boil this for few more minutes. 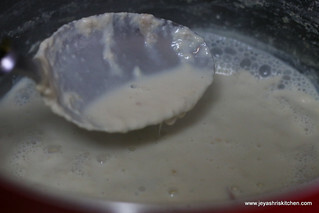 The mixture becomes thick , add the yogurt to this and mix well. Let this be in flame for just 2 minutes, to get a grainy texture. Scrap out the edges. 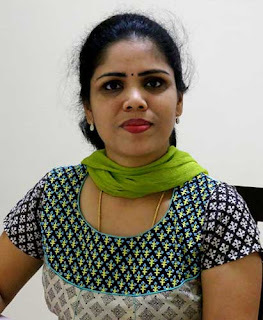 Palkova is ready for neivedhyam. 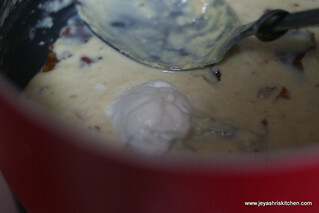 Adding yogurt is to get a grainy texture. So add in the last and switch off the flame in 2 minutes. 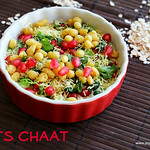 Do not add more curd, will give a sour taste to the sweet. 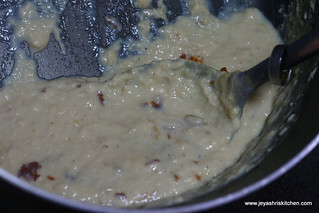 You can take this out in a semi consistency state, if you want basundi. 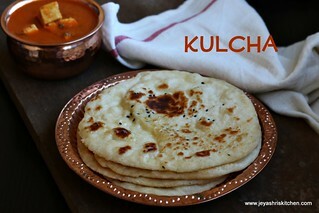 Adding cardamom powder is optional as i always feel, it will suppress the original taste of the palkova. 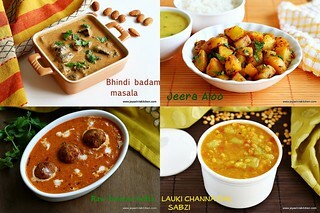 amma use to prepare whenever functions are in full swing. 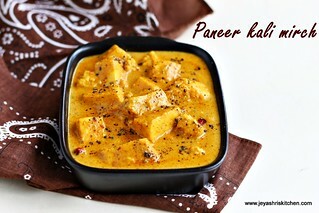 Palkova looks yummy .Lovely presentation jeyashree. Microwave version tried it, came out very well.